The original challenge to pitch the account in hindsight was quite telling. 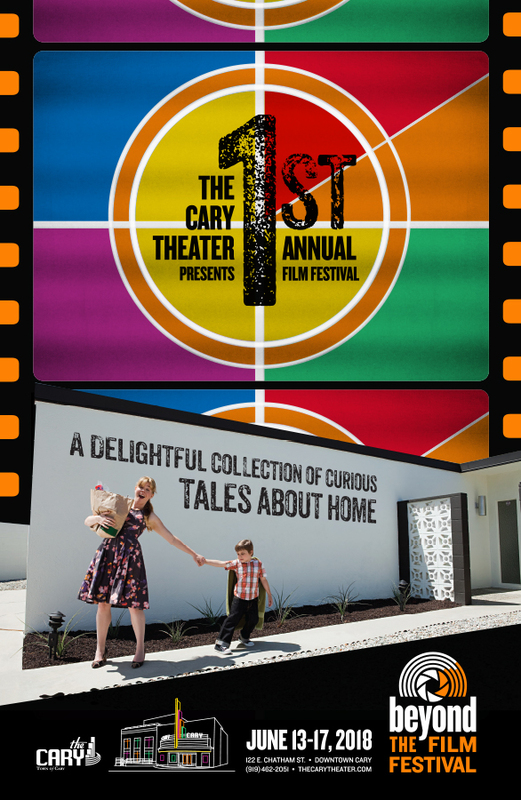 Come up with a plan to promote a wedding contest event that would happen right at their Cary Theater in the heart of downtown Cary. It was nice to later hear that they felt we were the front runners even before the presentation, and were enthusiastic once we were done. We had done our homework. From looking at all aspects of the event: the contest, weddings, and explored the logistics of the surrounding area for cross-promotion and event structure. Even what it meant to be an Arthouse Theater. All compiled into a PowerPoint presentation. While we had to keep our research simple, it was a pitch after all, it showed how easy it was for us to meet this type of challenge. Up until we stepped in, they had a beautifully redone historic movie theater with a rich history, but a really shallow and not particularly exciting starter Brand. Since they had already invested in promoting with the Brand, it didn’t feel like an immediate rebrand was a positive first step. Instead we went right to heart of the issue and created a Brand design and messaging structure that would be weaved throughout everything that was internal and external to the Cary Theater. Our mandates were “colorful while being dynamic” in look and structure. After all the brand needed to support and compliment a wide variety of subjects and styles. 2) Helps keep you from repeating other Branding schemes. Though we presented a number of fun directions, the memorable moody “C” concept is what they really liked. So modern and filled with motion. And it was super dynamic as a design element, so it allowed us to brand the majority of initial requirements quickly and with a variety of approaches. It didn’t hurt that the first deployment and proving ground was primarily digital. Results were quick and audience response was positive. Before long we were challenged with enhancing aspects of the interior of the theater with this new brand structure. While we had previously tackled integrating Branding that compliments an existing space, this was already a complete and beautifully designed interior, albeit with a neutral color palette, so it would require a tasteful and visually complimentary look without feeling shoehorned. The end result worked well and gave the staff the ability to have focused areas within the theater to do spotlight promotions and appearances. With much of the initial digital and real-world branding needs completed, including providing core print and digital templates for internal staff to handle day-to-day promotion, our next focus was tackling events. This was right in our wheelhouse, as event Branding and PR were what Misner and Foundry Zero had become known for in recent years. We eased into it with a number of smaller events like the always fun Zombiepalooza. That led to our most challenging and creative project yet: The Beyond Film Festival. This was our first test for the Brand to doing something that required 3 different creative chores that would often need to work together and represent a whole package. 3) The specific campaign for the inaugural event. We pulled from many directions when starting with the event Brand. Some of the focus was on Indy film style experimentation, cinematic tropes and finding complimentary elements to the Cary brand. Once the core Brand was resolved we really went into some thematic approaches for the campaign. At the time it was impossible to tell the type of submissions that would be in the final film festival, so we relied on the theme of “stories from home.” Our focus continued in different directions supplementing the event logo concept with everything that we had laid out in our initial creative scope. All while being colorful and putting emphasis on being the first film festival. The results were fun and bombastic and the Cary Theater staff were pleased at how smoothly we coordinated deliverables and how we pulled so many different looks from the same Brand system. This year with some marketing directions no longer a mandate, like being the 1st film festival, we took a much simpler approach to the new “hero” theme. Since it was an even broader concept that could take many possible directions, the primary effort lay in finding just the right image(s). We also chose to combine it with our own internal mandate, to find an engaging typeface to make for a “heroic” final product. The end result is a campaign that has a strength that combines a movie poster with an image loosely resembling the award of the festival. We’ll know soon enough if by taking a very creative approach to the theme will be a successful way of representing the film festival. But, in some ways, isn’t that really the point of wanting to take on this kind of work. In order to best represent creative endeavors, sometimes you have to walk a mile in their shoes.